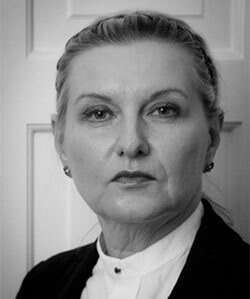 Cheryl is an experienced commercial chancery barrister and Deputy Insolvency and Companies Judge. Cheryl was appointed Deputy Bankruptcy Registrar in 2008 and is now Deputy Insolvency and Companies Judge frequently sitting in the Bankruptcy Division and Companies Court in the High Court. This experience gives her a very wide knowledge of the chancery jurisdiction, ranging from bankruptcy through to directors’ disqualification proceedings and the minutiae of Company Law, such as reduction of capital. She regularly advises and acts for insolvency practitioners, trustees, creditors and debtors and individuals in relation to a wide variety of matters. Also being a part-qualified accountant, not only gives Cheryl the ability to deal with complicated factual issues as well as the legal complexities, but also the ability to assimilate accounts quickly and efficiently. In addition to sitting as a Deputy Insolvency and Companies Judge, Cheryl was appointed Recorder in 2010, sitting in the South-East Region. Representing a bankrupt in a disputed Centre of Main Interests petition. The meaning of deleted terms and voluntary arrangements in the Court of Appeal by Cheryl Jones - Narandas-Girdhar v. Bradstock  EWCA Civ 88.